2016 is coming to an end and I’m celebrating by getting rid of the most useless social media service ever invented. For some reason, Google chose to do another redesign of the service (making it even more obsolete) instead of just pulling the plug. 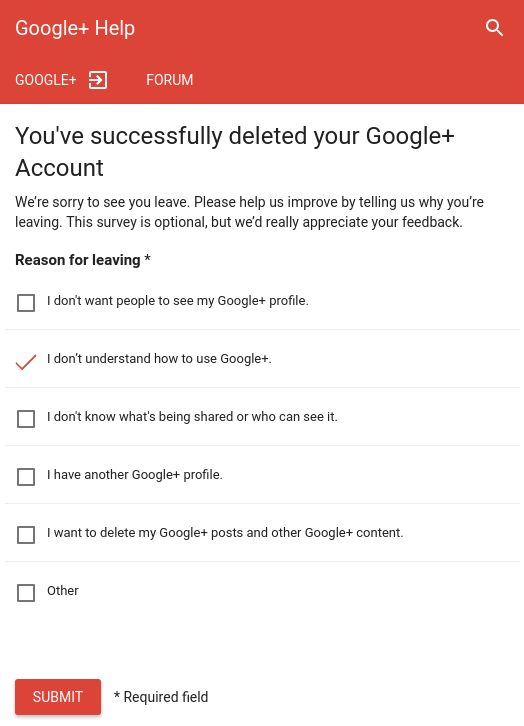 Anyhow, with Google+ no longer being a hard dependency for other Google products, I guess this is where we part ways.